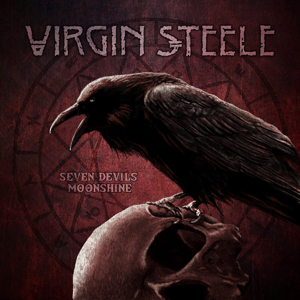 Legendary rockers VIRGIN STEEL have announced that they will soon release a special 5 CD boxset called Seven Devils Moonshine. SPV/Steamhammer is proud to release this boxset on November 23rd, 2018 incl 5 CDs (a total of 88 songs) where 3 CDs contain totally new songs and new versions. The package will also include a sticker and a 24 page booklet with new lyrics and photos by David DeFeis. "CHILD OF THE MORNING STAR"
"BLACK LEAVES SWIRL DOWN MY STREET"
"THE GODS ARE HUNGRY POEM"
"RUMANIAN FOLK DANCE No. 3 “PE LOC”"
"FLAMES OF THY POWER (From Blood They Rise)"
"THROUGH THE RING OF FIRE"
"KINGDOM OF THE FEARLESS (The Destruction Of Troy)"
"THE BURNING OF ROME (Cry For Pompeii)"